Torrington- Peter G. Longhi, 80, passed away Sunday, January 13, 2019 at Charlotte Hungerford Hospital, Torrington. He was the beloved husband of the late Patricia (LaGanga) Longhi. 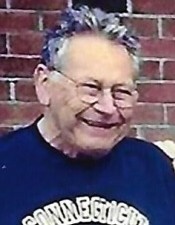 Mr. Longhi was born in Torrington on January 7, 1939, son of the late Gideo and Margaret (Vasko) Longhi, and had been a lifelong city resident. He was employed by the General Packing Company and was a proprietor of the Torrington Meat Center. He retired from Big Y, after many years of service as a Meat Department Manager. 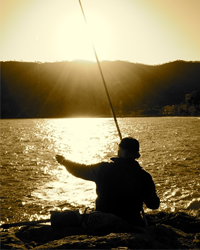 Peter enjoyed restoring old boats, fishing, and taking trips to Mohegan Sun Casino. Peter will be remembered for his happy-go-lucky nature, and for always having a smile on his face. He will be remembered by family as a loving father and grandfather, who always placed his family before himself. Survivors include four daughters, Pam Tullock and her husband Bob of Winsted, Maria Longhi, Diane Liner and her husband Hugh, all of Torrington, and Donna Samal and her husband David of Litchfield; a brother, John Longhi of Torrington; ten grandchildren, Nick Tullock, Kellie, Shelby, Janelle and Alex Nadeau, Jessica, April, and Nathan Cabeceiras and his Fiancée Brittny Parks, and Mitchell and Griffin Samal; five great-grandchildren, and several nieces and nephews. Peter was predeceased by a brother, Robert Longhi. Graveside services will be held Saturday, January 26, 2019 at 11:00a.m. at New St. Francis Cemetery, 863 S. Main St., Torrington. Gleeson-Ryan Funeral Home, 258 Prospect St., Torrington, is in care of arrangements.